Hi everyone! Sorry I have been a bit quiet around here for the past few days. We celebrated the 4th of July over the weekend and my son had minor surgery today so blogging has not been on the forefront of my mind. I do have some wonderful giveaways and posts in the works though, so hang in there and stay tuned!!! 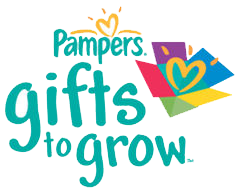 In the mean while, Pampers has released another new Pampers Gifts To Grow Code for us and it is worth 10 points! Here it is...expiration is unknown.